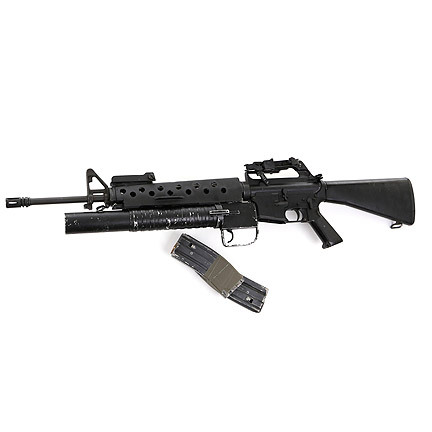 This M203 Grenade Launcher was used by the character Tony Montana portrayed by Al Pacino in Brian De Palma’s 1983 gangster epic “Scarface”. 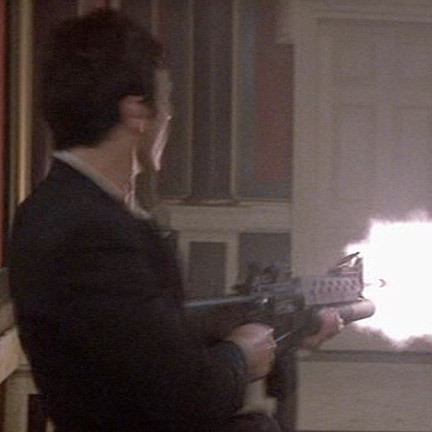 Mr. Pacino can be seen firing the weapon throughout the climactic ending of the film where Tony tries to defend his mansion against a full-scale assault by Bolivian drug kingpin Alejandro Sosa’s men. 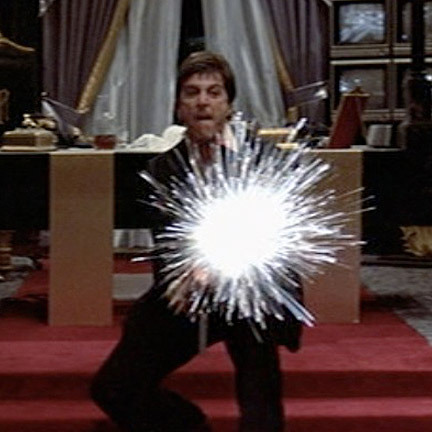 He introduces the gun to his enemies with the now iconic line: “Say ‘Hello’ to my Little Friend”. After firing the launcher through the front door of his study into several of his attackers, Tony continues to fire both the launcher and his attached automatic weapon at Sosa’s men as they swarm into his house, until he is finally shot in the back and killed by “The Skull”, Sosa’s main hit man. 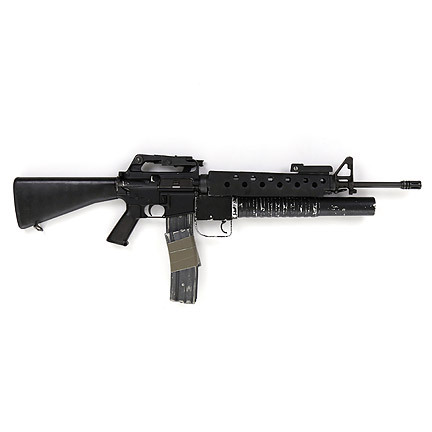 The launcher is attached to a non-firing replica Colt AR15 that is identical to the live firing gun that was used in most of the gunfire sequences. This replica was provided by the film’s weapons specialist that oversaw the weapons during filming of the sequence. 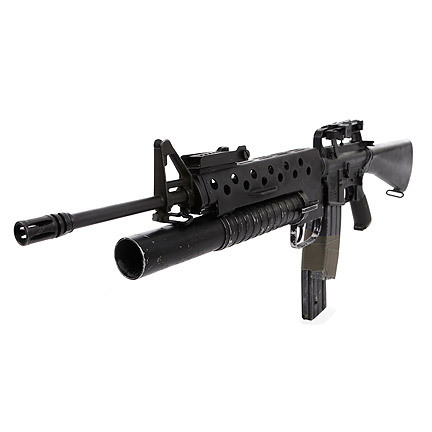 Originally an M16A1 was used with the grenade launcher and the AR15 was substituted later after cinematographer John Alonzo determined that the AR15’s firing sequence could be timed to synchronize with the Arriflex cameras, which would result in elongating the duration of muzzle flashes seen on film. 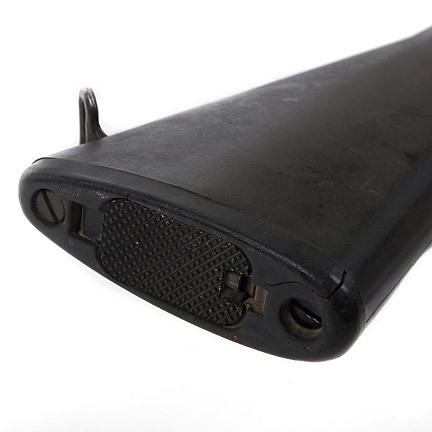 The M203 grenade launcher was one of four that were custom made for use on the film and the firing pin has been removed to prevent the use of live rounds. The launchers were individually fabricated because the property master was unable to locate any live firing grenade launchers for production. 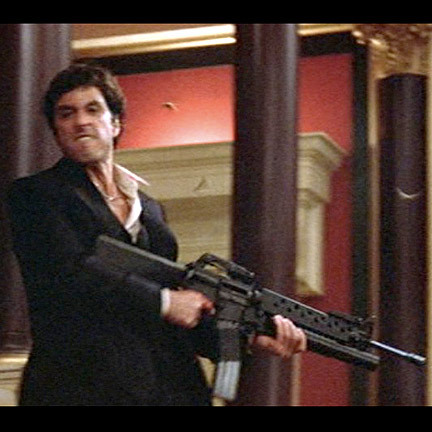 He had the M203 grenade launchers hand crafted (not molded) by the studio prop department. 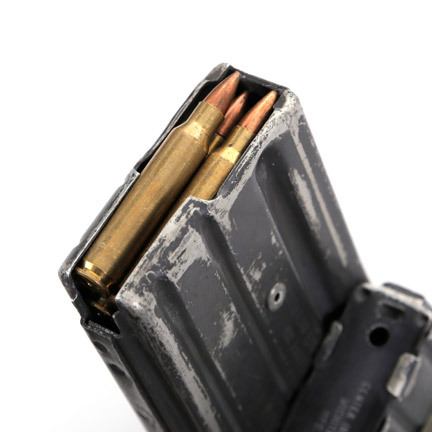 All four of the launchers were created with extra large trigger guards and wider ribbing on the barrels than are found on the traditional M203 design. 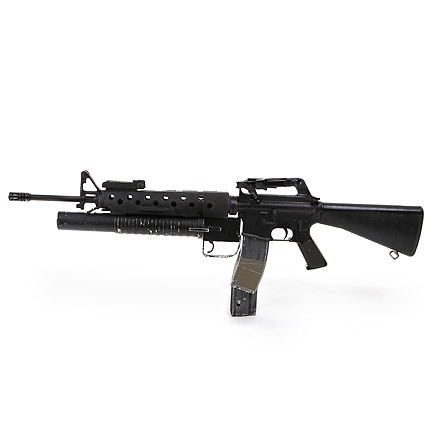 After the production wrapped in 1983, the studio weapons supplier rented the simulated M203 Grenade Launcher to other productions. 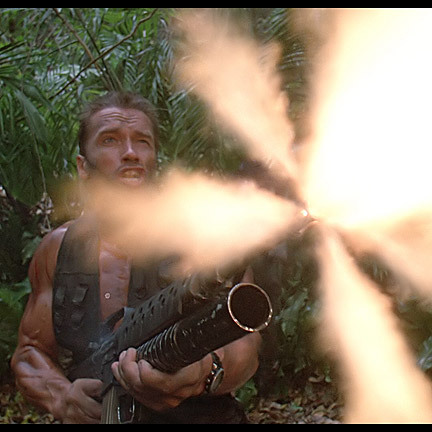 One of the iconic films the prop can be clearly seen in is the 1987 blockbuster “Predator”. 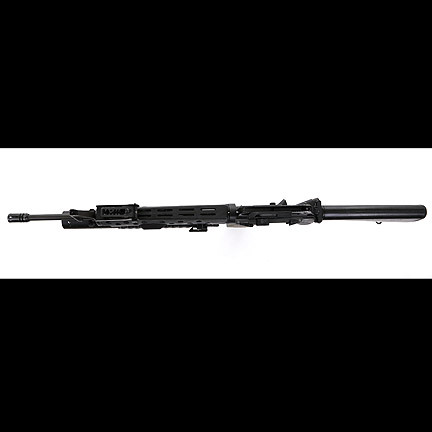 This same grenade launcher was used in action sequences by the main character “Dutch”, portrayed by Arnold Schwarzenegger. 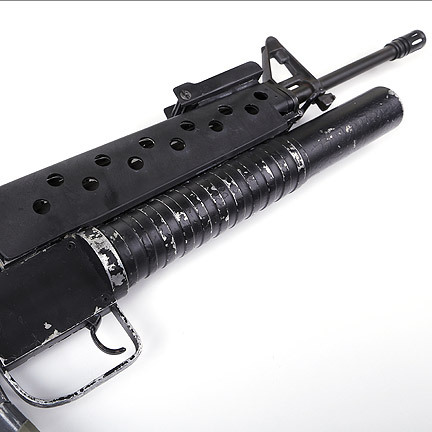 The custom made M203 is in good hand distressed condition as seen in the films and is accompanied by a letter of authenticity from the armorer who worked on both productions.